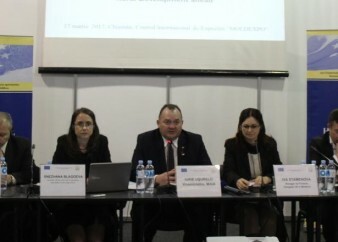 Visitors of the European Village found out more about the tangible results of EU – Republic of Moldova Association Agreement implementation in the framework of a public debate organised with the EU High-Level Advisers. 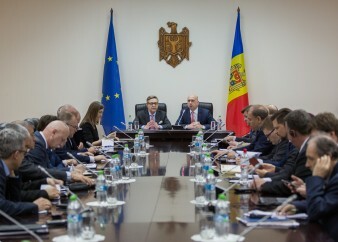 Ambassador of the European Union to Moldova Pirkka Tapiola, Prime-Minister Pavel Filip and the team of EU High-Level Advisers held a meeting on 24 March, to discuss the situation of public administration sector and the stage of reform implementation. EU High-Level Advisers’ Mission to the Republic of Moldova in cooperation with Ministry of Agriculture and Food Industry organized today the round table “Improving working opportunities and living standards in rural areas in Moldova. Rural development ahead”. More than 80 national and international participants, representatives of public administration, scientific and research institutions, and associations of agricultural producers joined the event. EU High-Level Advisers’ Mission jointly with the Ministry of Agriculture and Food Industry invites media to attend on Friday, 17 March, the roundtable “Improving working opportunities and living standards in rural areas in Moldova. 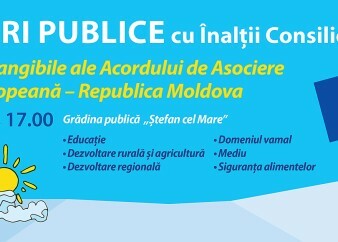 Rural development ahead”, taking place in International Exhibitions Centre “MOLDEXPO”, central pavilion, starting at 9.00. Steering Committee Members of the ‘Assistance to the Implementation of EU High-Level Advisers’ Mission’ held an ordinary meeting today, 14 March, taking stock of the implementation of the Mission and endorsing its Interim Semestrial Report. Over 80 auditors and accountants, members of professional networks, were presented and discussed the EU legislative framework in the field of Anti-Money Laundering and Combating Financing of Terrorism, during a roundtable organized today by the EU High-Level Advisers’ Mission. The main aim of the roundtable was to raise stakeholders’ awareness on the EU legislative provisions in order to ensure timely compliance with these. 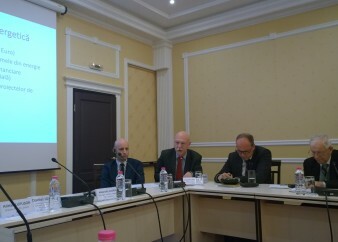 On 19th of January, the study ”The Bridge over the Prut, version 2.0: the electricity interconnection between Romania and Moldova ”, developed by 'Expert Grup' (Republic of Moldova) and 'Expert Forum' (Romania), was launched in Chisinau. On the occasion of the XXVI anniversary of the Moldovan Police, the EU High-Level Adviser on Police Reform, Marian Tutilescu participated in the forum “Police in the service of society” organized by the General Police Inspectorate.